t was exceptional until Americans left off being good and left off thier appreciation for the culture of life and what it was that gave them their blessings, yes, including credit to the God from whom all good things come. It was never America that made it great, it is God that setteth up one and putteth down another. Forget the so-called rightist jingoism. Now comes the leftist Godzilla jingoism from the left-fascist George Soros-invented “responsibility to protect”, which is the most jingoistic philosophy to ever damage gullible brain cells everywhere. Leftists are not immune, and with the Soros interventionist doctrine that they call the “responsibility to protect’, they will use their own victims to justify their own new invasions and wars. Soros has a lot of international investments to protect, for sure and those are the things he wants to protect. He’s pushing for an international dictatorship that he will rule together with his fellow plutocrats, who form a club of people that think they are of a ruling class that owns the rest of us by birthright. Bush swarmed into Afghanistan, disbanded Al Qaeda, destroyed their safe haven base there, and scattered them. Like even the hyper-paramilitary Stratfor Security said at the time, they could have declared a genuine victory and left them to do whatever they were going to do anyway. Instead they tried to do what Bush had promised not to: Nation building. Some gullible Americans thought they were getting something different with the first Kenyan-American president. But he wants to formalize the Bush nation-building doctrine by keeping at least 14,000 troops in Afghanistan after the time they told us they would. You know, us-the people they’re looting to pay for it. It’s a drain on us of lives and wealth, and the Kenyan-American continues the adventurism, and proving that the Nobel Prize is awarded by a bunch of incompetent and clueless academics, whipped around by the winds of left-fascism mob psychology like a feather in a tornado. 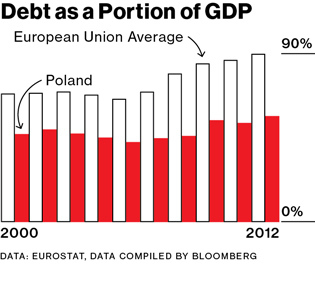 Since the fall of the Iron Curtain, Poland has refashioned itself as a model of free-market economics. From 1989 to 2007 its economy grew 177 percent, outpacing its Central and Eastern European neighbors as it nearly tripled in size—the result of a series of aggressive measures taken by the government after the collapse of communism. Price controls were lifted, government wages were capped, trade was liberalized, and the Polish currency, the zloty, was made convertible. The policies left millions out of work but freed Poland to begin to recover from decades of mismanagement. The economy got a further boost with the country’s entry into the EU in 2004. But if membership in the EU were to be a cause, even one of them, you have to consider Greece and Portugal and Spain, which almost got to be basket cases. And don’t forget Cyprus, that literally stole millions right out of bank accounts. Keep in mind that those bank accounts were also probably insured by the Cypriot government itself! Oh yeah?? Then why didn’t the purposeful “Keynesian stimulus” help anybody else? How can they credit Keynsian policies, without explaining how those SAME Keynesian policies did NOT work ANYWHERE else? And if Keynesian policies elsewhere were followed by even worse stagnation, as happened in the USA and many European countries too, then it doesn’t work. In fact, the place where the Keynesian policies had been followed for decades without interruption most of all, like Greece, became the byword for basket case and failure of state fascist socialism. A series of tax cuts, including a drop in Poland’s top rate from 40 percent to 32 percent, took effect just as the crisis’s first shock waves were sweeping the world. Meanwhile, the EU budget for 2007-2013—which, among other things, distributes aid from richer countries to the union’s poorer members—made Poland the biggest beneficiary of subsidies, showering the country with some €101.5 billion ($137 billion). Although it was not labeled a stimulus package, Poland’s combination of increased spending and tax cuts was half again as large in per capita terms as the U.S.’s $800 billion American Recovery and Reinvestment Act of 2009. Of course every other country enacting true “Keynesian” policies raises taxes rather than lower them, because they say they have to raise what they call “revenues”, as if they were a profitable business. What they mean when they talk about raising “revenues”, is that they want to increase taxes of course, which means extortion. In times past, we used to call this what it was: extortion. Note that little mention they snuck in there, like a snake sneaking its poison into you instead of an obvious strike: “budget… …which, among other things, distributes aid from richer countries to the union’s poorer members…”. Look at that chart! That’s not a trend in Keynesianism, although there is indeed still too much of Keynes in it. Many state governments in the U.S. have gotten out of debt completely in a few short years by throwing out the Keynes doctrines, or at least holding them somewhat in check, to the extent they can with such a context of Keynesian-damaged federal policies. Wow. What a way to twist the effects of applying free market economics and its benefits, and torturing out of the story a way to give the poor Keynes some kind of nod. Later in the article, they also confess that ” Poland has benefited from remaining outside the common currency.” I guess so. They go on some more, mixing truth with generous helpings of spin. Beware. Caveat emptor applies to your reading, too..
Because people, even average Joes, are learning from the truths of Austrian economics, even many that are not well versed in its detailed analysis about it. They are ever more aware that whatever governments do is harmful to the goals of prosperity, or helping the poor, anything. Christians alas it seems are among the slowest to learn that you cannot have any morality in helping the poor if you are doing it by stealing your neighbor’s goods. Because by stealing your neighbor’s goods you are violating the second greatest commandment that tells us to “Love thy neighbor as thyself”. In today’s world you can call it “taxation” and say it’s justified because you have “representation”, because people are conditioned to accept not just the terms as legitimate but what it is. When the Mob comes to your business and demands a percentage of your take under threat of violence, we all know this is a specific category of theft we call extortion. When your government does the same exact thing, we call it “taxes”. Does it matter that a king does, or that a supposed majority of us can vote on which extortionist we want? What is a vote in a “democracy”, but a simple matter of saying “My extortionist is better than your extortionist”? “That’s okay, because my favorite extortionist faction only rips off your business for going to war against bad guys!”. There’s not much they can do about it, there are too many who are aware of free market principles and their natural rights to be free from aggression. Doing all this scaremongering is not working as well as it used to. Getting us to accept extortion and poverty by blaming the rich and scaring us is not working so well anymore. People are starting to consider that the terrorist bogey-man might not justify police-style pat-downs in transportation hubs. Maybe they’re getting more aware that the terrorist threat probability to their person is a miniscule fraction of threats they take for granted every day on their neighborhood streets. Maybe they’re realizing that extorted theft goes into a bottomless pit, and that the best works that help the poor the most are the private direct, and most importantly, voluntary charities. Paper receipts for a vote are not enough. Make the ballot to be THE OFFICIAL ballot, and then the electronic count is just a count that is verifiable by going back to the hard copy. Going back and re-reading an electronic store of a vote tally and calling that a “recount” is an outrageous scam. Whenever the elections officials talk about these changes, they say that they have increase the “confidence” of the voters in the elections “results”, which just means they have to fool enough people with the announced figures to get away with it. UnitedHealth Group Inc. (UNH), the largest publicly traded U.S. health insurer, raised concern in a March 2012 report about the accuracy and affordability of the tests. Such types of genetic tests may become a $25 billion annual market in the U.S. within a decade, highlighting the need to identify which work best, the insurer said at the time. Mu bonito, my Hispanic family half would say, UnitedHealth is all so worried about the little guys. That’s why they when you make a claim, they ask you to look again if the payout should be bigger than what you asked for, right…. Wow, one amazing dude. 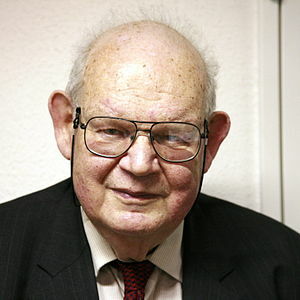 Big brains, indeed.. His advance in mathematics has been applied to a great number of science and engineering applications. And how much elegant simplicity God has wrought in the universe to weave such an amazing complex of phenomena. 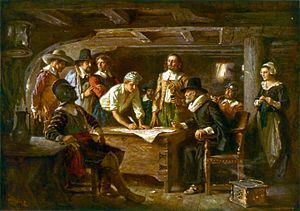 About Point 2: In their own Mayflower Compact, they listed as a principal reason to come to America was as a witness to the Indians for salvation in Jesus Christ. Point 3: It wasn’t “the first Thanksgiving“, exactly, but it is symbolically and significantly, because it was a thanksgiving celebration to thank first God and secondly to express gratitude toward the Indian neighbors..
About Point #5, you give too much overblown credit in your own mind to the “divine right” idea. Like one famous preacher said once about a drunk, he said “There but for the grace of God go I”, meaning he was not any better than that drunk. They were possibly thankful to God himself that the King had opened these new lands to them. And there are millions upon millions of Biblical Christians who regard it as an act of the grace of God that King James was the king during those years, because today we have the legacy, the evidence, the fruit, in the King James Bible. It is such a magnificent piece of literature, and as even the skeptical Napoleon recognized, much more than just literature, that even militant atheist proselytizer Richard Dawkins said he was honored to add his voice to a voice recording of it. Squanto was the first American Indian they encountered and in one of those “coincidences” he happened to speak fluent English, “the king’s English” as it is called, and became intermediary between the Indians and them, and he was Christian. measured by a blood draw, MRI, X-Ray etc.. Thankfully those aren’t the only diagnostic tools that doctors have on hand. There are specific criteria that must be met for someone to be diagnosed with ADHD. It’s not as if some lazy, government drone, sees an energetic, undisciplined kid and forces pills down his throat. 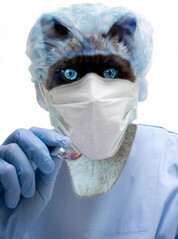 http://www.health.com/health/condition-article/0,,20252859,00.html 1. How often do you have difficulty getting things in order when you have to do a task that requires organization? 2. When you have a task that requires a lot of thought, how often do you avoid or delay getting started? 3. How often are you distracted by activity or noise around you? 4. How often do you leave your seat in meetings or other situations in which you are expected to remain seated? 5. How often do you feel restless or fidgety? 6. How often do you have difficulty waiting your turn in situations when turn taking is required? So from the W.H.O., some kid in a class who’s disorganized, procrastinates, is distracted by rowdy classmates, gets bored and fidgets with boring CLASSES (maybe he’s way ahead of his class), and really doesn’t like to wait in lines… is ADHD! Kagan: That’s correct; it is an invention. Every child who’s not doing well in school is sent to see a pediatrician, and the pediatrician says: “It’s ADHD; here’s Ritalin.” In fact, 90 percent of these 5.4 million kids don’t have an abnormal dopamine metabolism. The problem is, if a drug is available to doctors, they’ll make the corresponding diagnosis. Some people might not say it out loud, but this is how they think: “I know it’s true, because my government told me it’s true, and anything else is a conspiracy theory!”. Diabetes manifests as a measurement threshold in sugar in the blood. Heat stroke has precise measurements that say “yes’ or “no”, period. Yeah, I read that book by Trudeau about cures. The FDA fined him $35 million for it. Now he’s going to jail it looks like. He wrote about one family that had a thriving business, a bakery, and how the FDA abused them over and over again, even after they complied with everything, and they shut them down anyway. I think their mistake was saying something on the label. Pharmaceutical companies, Big Pharma, they do NOT like natural cures, they do NOT like people talking about them. What we can tell you, however, is that Big Pharma spent boat loads on political influence during the two years lawmakers worked on the issue. doled out more than $1.6 million in campaign contributions during the 2010 election cycle, though it split its contributions evenly between Republicans and Democrats. And Amgen, another drug manufacturer, spent a little more than $1.3 million during that same time period, sending 55 percent of contributions to Democrats. For more information on big spenders during the health care debate, look at our health care reform cheat sheet and the pharmaceutical industry’s profile page on OpenSecrets.org.